Mr. William Shakespeare’s Comedies, Histories, and Tragedies. 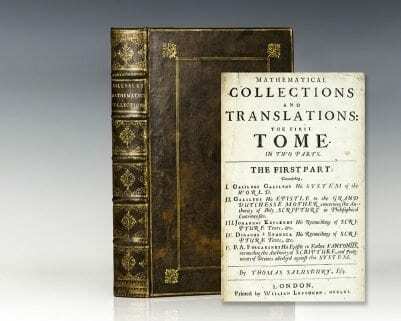 Published according to the true Originall Copies. The Second Impression. London: Printed by Tho. Cotes, for Robert Allot, 1632. The Bishop-Stockhausen copy of the extraordinarily rare first issue of Shakespeare’s Second Folio. 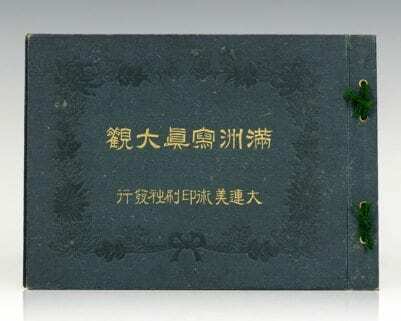 Of the nine imprint variants of this edition noted by ESTC, this is the first (Todd 1a). Among the other variants are title-page imprints for the four other publishers (Smethwick, Aspley, Hawkins and Meighen) and two reissues of the edition ca. 1641 or later. Folio, bound in full eighteenth century blue morocco with gilt titles and elaborate gilt tooling to the spine in seven compartments with raised gilt bands, gilt cornerpieces within gilt frames with central bevels and gilt fleuroned inner frames to the front and rear panels, all edges gilt, slate gray endpapers. Binding attributed by Bishop and Stockhausen to Christian Samuel Kalthoeber, the leading and most highly-sought after artist-bookbinder in in late eighteenth century London. A German émigré, Kalthoeber create his own ornamental designed which were quickly copied and was patronized by King George III, novelist William Beckford and Catherine the Great. Engraved portrait or Shakespeare by Droeshout to the title page printed from the same plate as the First Folio opposite the initial leaf of Jonson’s verses, woodcut head and tail pieces. Todd’s imprint setting “A,” State 1b. 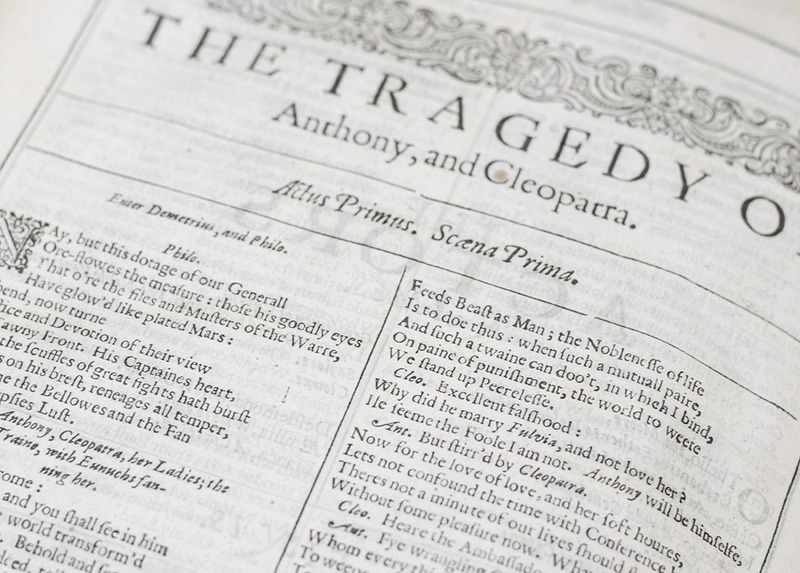 It is believed there are fewer than 200 extant copies of the second folio which notably contains John Milton’s first appearance in print with “An Epitaph on the admirable Dramaticke Poet, W. Shakespeare” (A5r). In near fine condition. Provenance: Cortland Field Bishop (morocco label; AAA/Anderson, 14 November 1938, lot 2077) — Henry Walker & Nancy Reynolds Bagley (bookplate featuring their Greenwich residence) — William E. Stockhausen (Sotheby Parke Bernet, 19 November 1974, lot 399). Housed in a full custom morocco clamshell box. An extraordinary example, in terms of both condition and scarcity, easily the nicest example obtainable. Following Shakespeare's death in 1616, close personal friends and members of the King's Men with Shakespeare John Heminge and Henry Condell decided to collect his plays to be published in one comprehensive volume. Now commonly referred to as the First Folio, the 1623 first edition was published by Edward Blount and Isaac Jaggard in an edition of roughly 750 copies featuring the “Droeshout portrait” of Shakespeare on the title page, one of only two extant images known to be an accurate likeness. Essentially a page-for-page reprint of the first folio, the second folio was printed by Thomas Cotes nine years later in 1632. 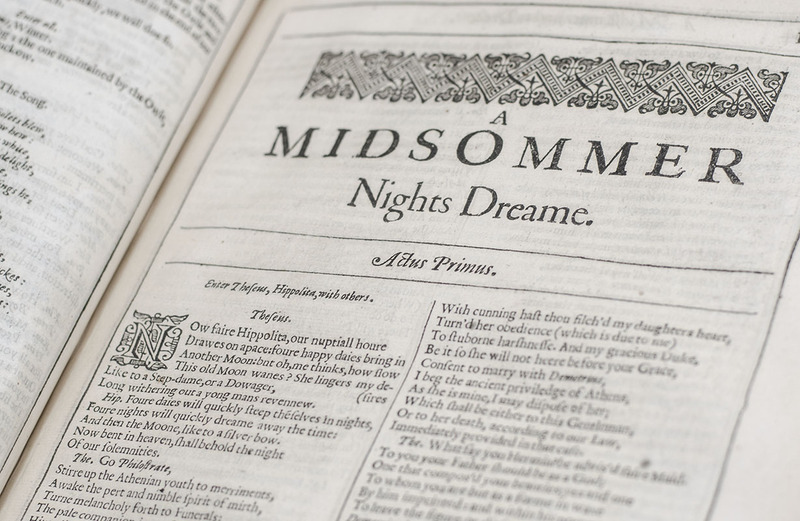 Cotes assumed Jaggard's shop in 1627 and printed the second folio for the five publishers listed in the colophon (Robert Allot, John Smethwick, William Aspley, Richard Hawkins, and Richard Meighen) each of whom had rights to one or more of the plays. 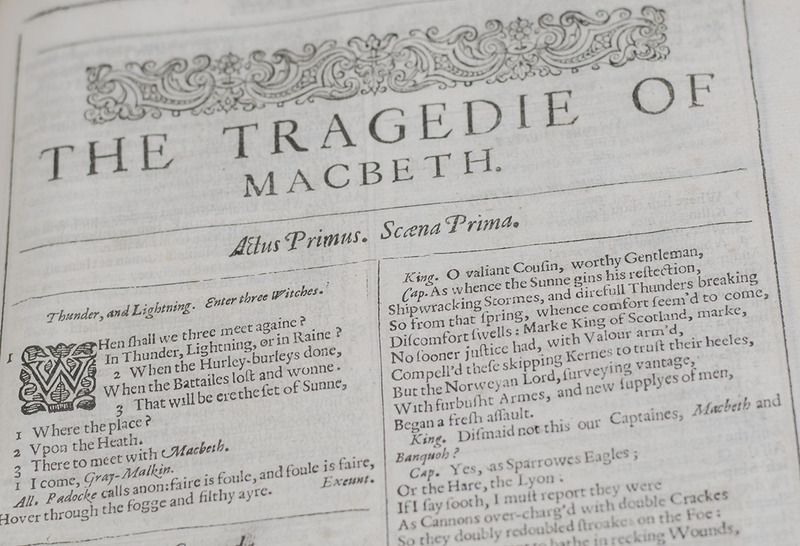 The Second Folio, like the First Folio of 1623, contains all 36 plays that are considered to be wholly or in part by Shakespeare (with the exception of Pericles, which was added to the Third Folio edition of 1663). 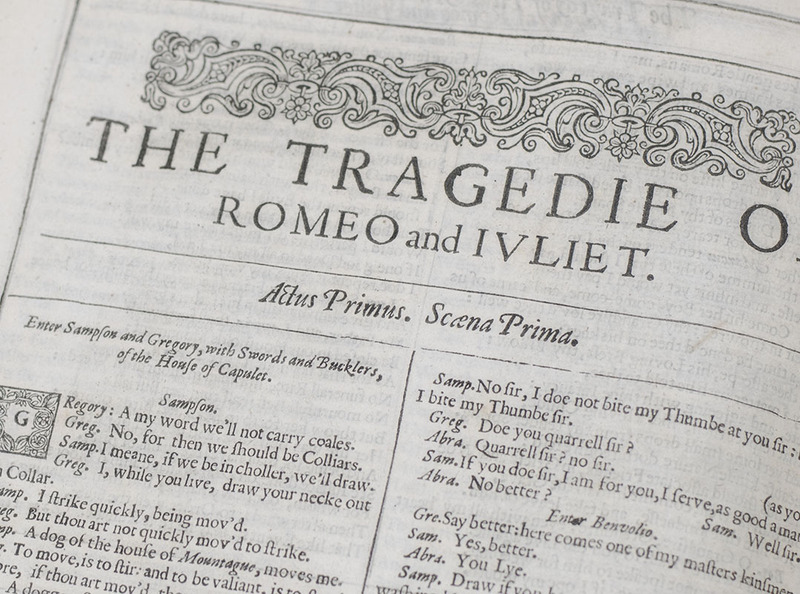 At the time of publication, plays were not considered serious literature or routinely printed, they were produced to be performed and attended rather than published. “Had Shakespeare not enjoyed the affection of his fellow actors his plays might not have survived. About three-fourths of the prolific output of playwrights in his lifetime has disappeared. But Shakespeare’s fellow actors, as a token of friendship to him, did us the great service of preserving the texts of his plays when they arranged publication of the First Folio in 1623. What other playwright of that age was so well served by his fellows? 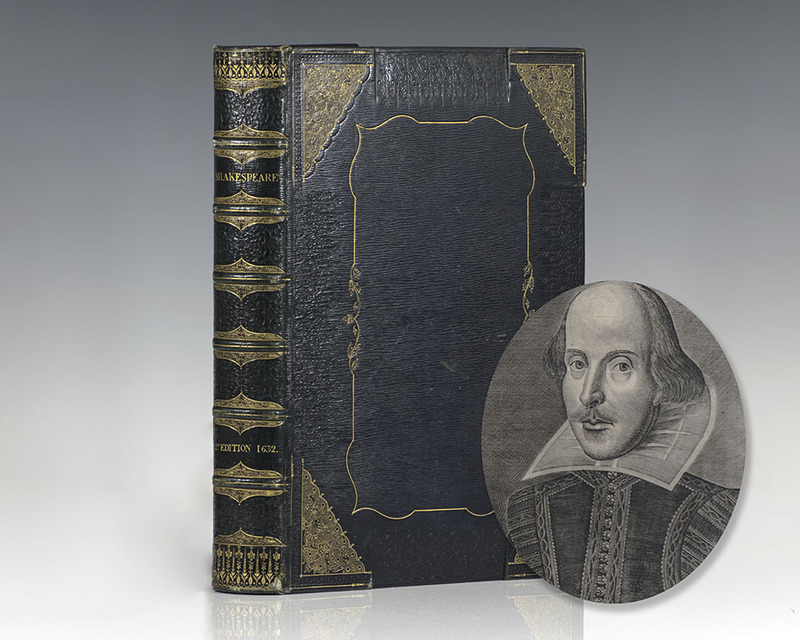 The First Folio Shakespeare, the compilers explained, was published not for profit but ‘only to keep the memory of so worthy a friend and fellow alive as was our Shakespeare” (Boorstin). 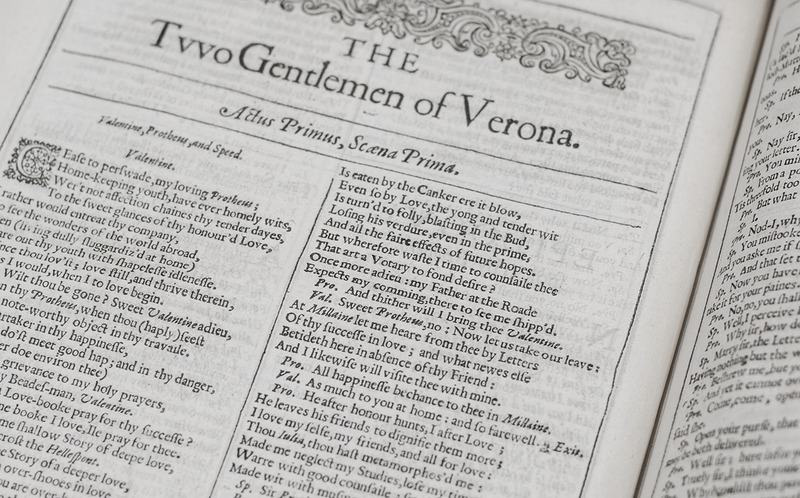 It is estimated that no more than 1000 copies of the Second Folio were printed, and it is believed that less than 200 copies are still in existence today, many of which are incomplete or in poor condition. The Second Folio corrected some of the textual errors present in the First Folio and is notable for containing the first appearance of John Milton in print, his anonymous “Epitaph on the admirable Dramaticke Poet, W. Shakespeare,” was composed about two years before the publication of the Second Folio while Milton was a student at Cambridge. “The folios are incomparably the most important work in the English language” (W.A. Jackson, Pforzheimer Catalogue). 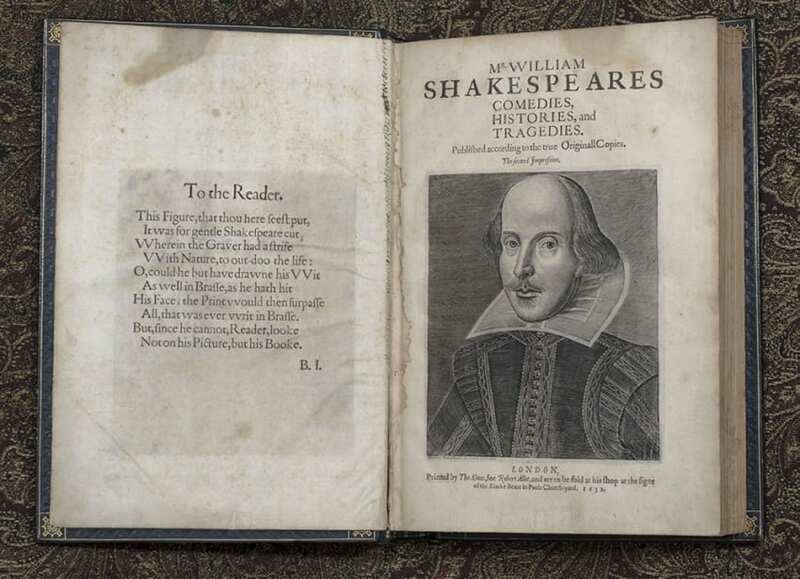 Because of their incalculable impact on language, thought and literature, the folios of Shakespeare are, without parallel, the most desirable of all English language books. They “have an aura of book magic about them. For a bibliophile it is a volume devoutly to be wished for and rarely attained; to a library it is a crowning jewel of a collection? Shakespeare, indeed, is a name to conjure with. No lengthy explanations are needed; he is simply the most distinguished author in the English language” (Legacies of Genius, 36). Mr. William Shakespeare’s Comedies, Histories, and Tragedies. Fourth Folio. London: Printed for H. Herringman, and are to be sold by Joseph Knight and Francis Saunders, 1685. London: Swan Sonnenschein & Company, 1880. The Works of William Shakespeare, The Stratford-on-Avon edition. Octavo, 10 volumes, bound in three quarters morocco over marbled boards, gilt titles and tooling to the spine, top edge gilt. 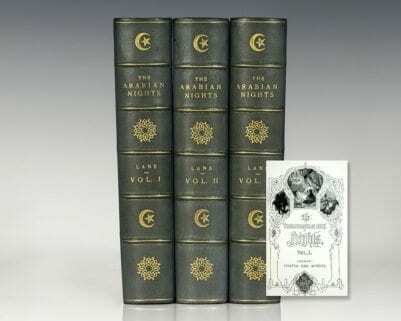 Bound with 186 full page photogravures and photo-engravings. Edited by Alexander Dyce. In very good condition. Shakespeare, William. Edited by W. E. Henley. Edinburgh: T. and A. Constable; Grant Richards, 1903-1904. The Constable edition of the works of Shakespeare. Folio, ten volumes. Elaborately bound in full blue morocco by Bayntun Riviere in Cosway-style binding with hand painted portrait medallions under glass to the front panel of each volume, gilt titles to the spine, gilt tooling to the spine and front panel, fleuron cornerpiece designs within gilt frames, raised gilt bands, inner dentelles, top edge gilt, silk endleaves, ribbon bound in. Illustrated with 479 tissue-guarded plates and 531 original illustrations, 525 of which are original watercolors. One of only 1,000 copies, this is number 149. Volume X is signed by Grant Richards, who produced that volume only, on the limitation page. 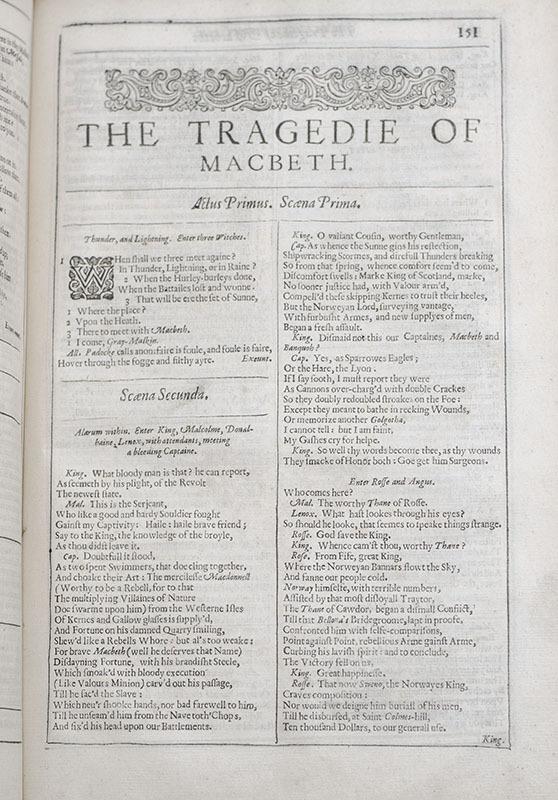 Each volume contains four plays, with the exception of volume ten which contains two plays followed by Shakespeare’s narrative poems and sonnets. In near fine condition. Exceptionally rare and desirable. A stunning set.